With all the hype of edge computing and edge cloud, everyone is now claiming to have products that are focused on the “Edge”. This branding and edge washing has created a lot of confusion around “What is the Edge”, “Where is the Edge” and “Who owns the Edge”? Furthermore, the futuristic view around autonomous cars, virtual reality and remote surgery is over used: is this the best we can do for use cases for edge? 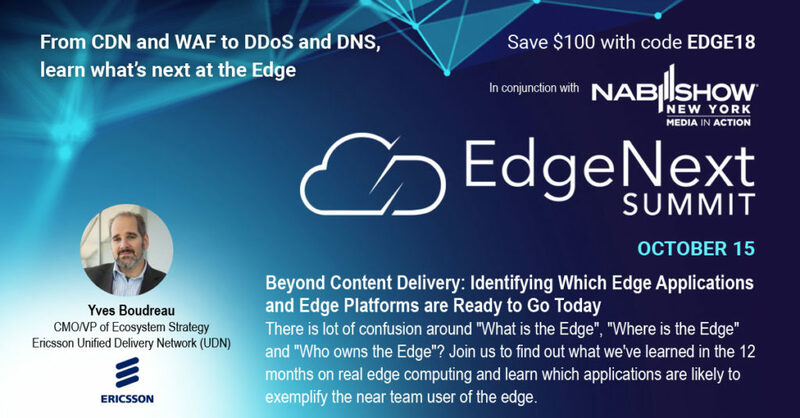 At the EdgeNext Summit, taking place Monday October 15th in NYC, Yves Boudreau, CMO/VP of Ecosystem Strategy for Ericsson’s UDN will discuss what they have learned in the 12 months on real edge computing and learn which applications are likely to exemplify the near team user of the edge.